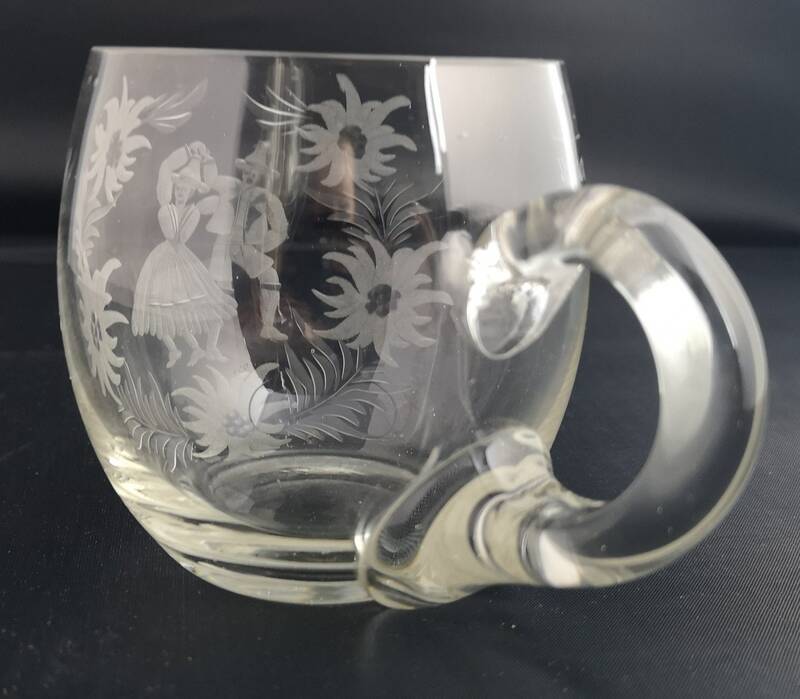 A vintage Dutch glass tankard or mug. 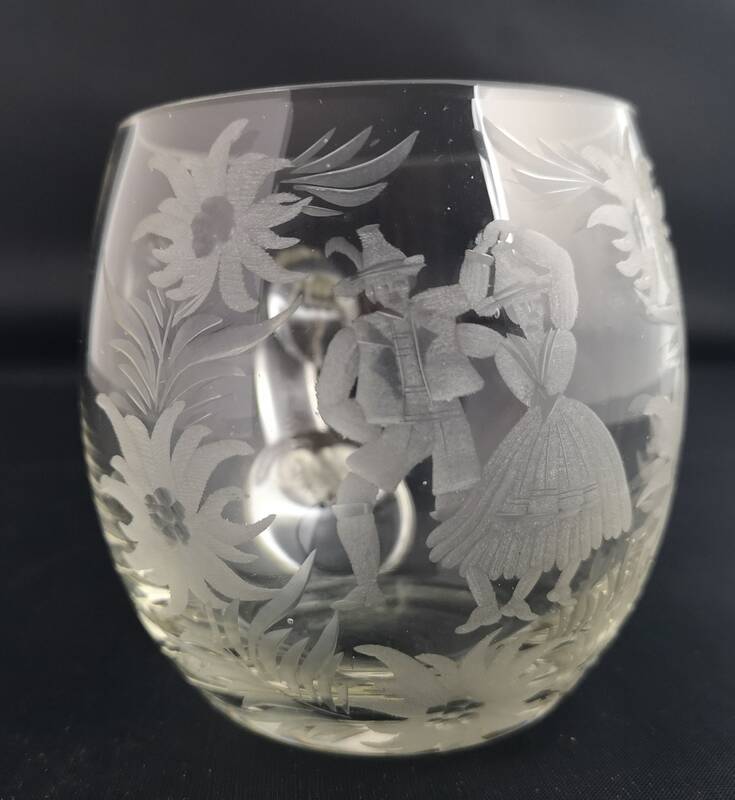 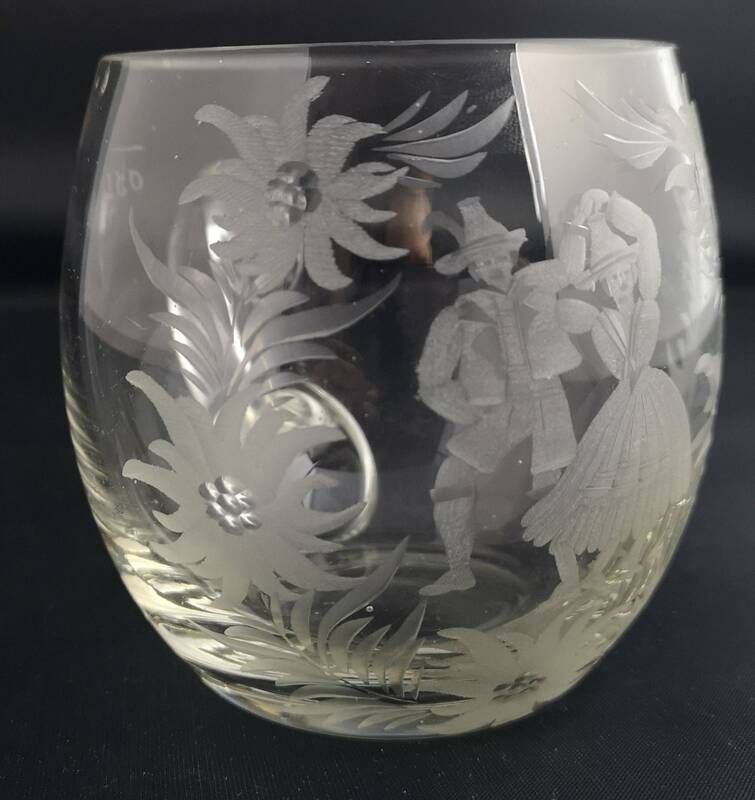 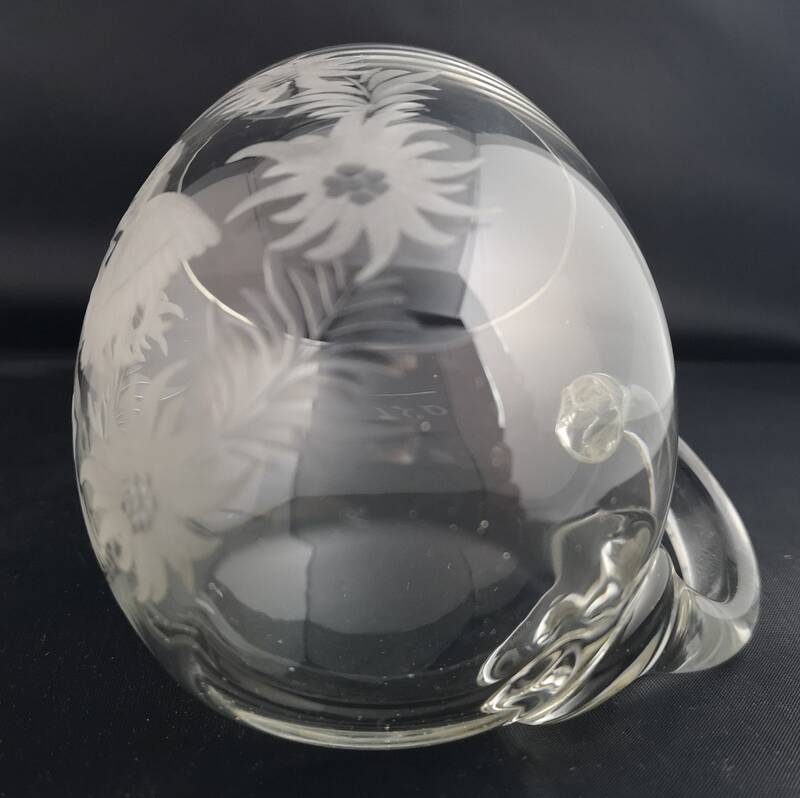 Lovely round bulbous shape with an engraved pattern of flowers and a couple dancing. 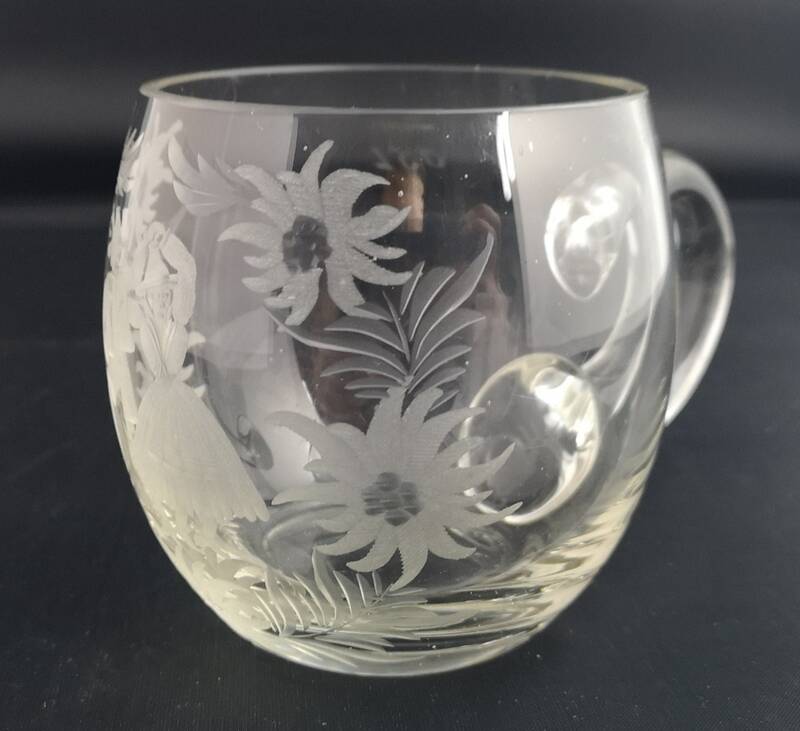 The glass is very thick and smooth. 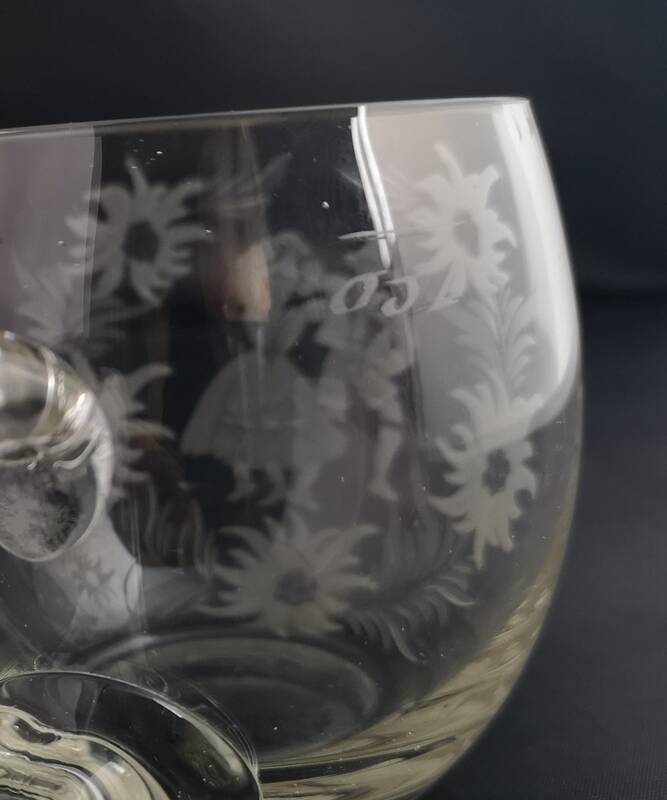 Good condition no chips or cracks, slight surface wear. 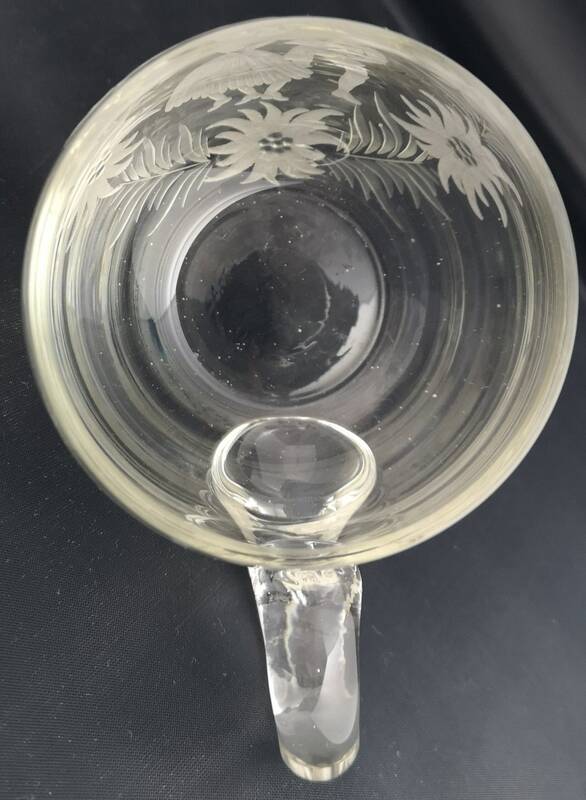 Approx 3.5" height, 5.5" width (including handle) and 3" diameter at the opening.